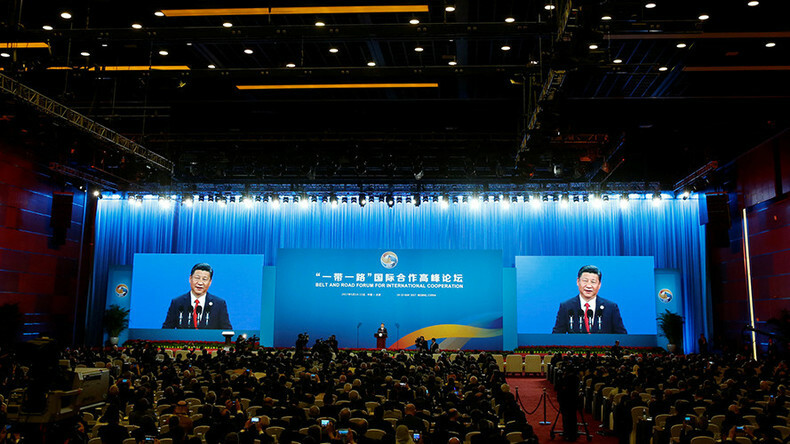 Beijing is hosting a high-level international cooperation forum, dubbed "One Belt, One Road,” which brings together dozens of heads of state and government, along with financial organizations and hundreds of business representatives and entrepreneurs. "Spanning thousands of miles and years, the ancient silk routes embody the spirit of peace and cooperation, openness and inclusiveness, mutual learning and mutual benefit," Chinese President Xi Jinping said at the opening of the forum. "The Silk Road spirit has become a great heritage of human civilization." Xi also undertook to build a “road of peace” as he emphasized the need to respect the sovereignty and national interests of each and every state. The Chinese president added that he also wants it to be a “road of prosperity,” focusing on cooperation and production that would aim to maintain a dynamic growth. Speaking after the host of the conference, Russian President Vladimir Putin noted that, unfortunately, “protectionism and unlawful restrictions” have become the new norm in the modern world. “We cannot resolve modern challenges by using old approaches. We need new ideas. 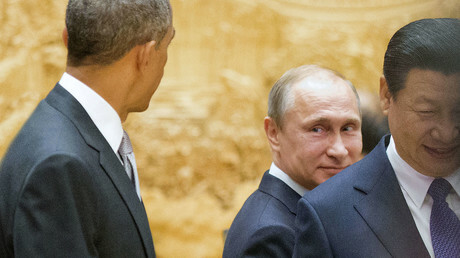 We need to abandon all stereotypes,” Putin urged. Russia is ready to join the development of “new modern transport corridors,” Putin said, as well as to contribute to “large scale energy infrastructure projects.” Putin also called for scientific cooperation and to “set up international laboratories” which can contribute to regional development. “Civilization project for the future,” as Putin called the New Silk Road, should bring stability and prosperity along its way. Taking the stage after Putin, Turkey’s President Recep Erdogan emphasized that a project of such scale will encourage greater intergovernmental cooperation and strengthen the “climate of solidarity” among all partners. The establishment of a new, coherent political and economic system will “pave the way in a new era,” said the Turkish leader leader whose country was an important point of convergence during the times of the ancient Silk Road. Putin arrived in Beijing to offer concrete initiatives to implement and strengthen the Beijing-led Silk Road project which top delegates of 29 nations will discuss over two days at the Belt and Road Forum in the Chinese capital. Hosted by Chinese President Xi, the forum will offer a unique opportunity for the world leaders to engage in a wide range discussions. Putin is one of the keynote speakers. High-level interactions between Russia and China have intensified over the recent years and Moscow is ready to promote ways to cooperate in trade, cultural and scientific exchange in an effort to boost the reincarnation of the ancient and famed Silk Route. According to the Russian president’s press service, Putin plans to present Moscow’s vision, outlining the prospects for economic development in Eurasia. He also plans to propose a number of concrete initiatives to build the shortest cost-effective and efficient transport routes through the territory of Russia for the delivery of goods from the Atlantic to the Pacific. Among other plans, Russia wants to strengthen the interconnection of the Asian Pacific countries in the energy sector. As the demand for electricity in the Asia-Pacific region is rapidly growing, Moscow wants to create an energy ring between Russia, Japan, Korea, China and Mongolia which was first discussed at the Eastern Economic Forum in Vladivostok in 2016. China and Russia share infrastructure development plans in the Far East region. China, for instance, has attached great importance to integrating the Eurasian Economic Union with this Beijing led mechanism. Xi and Putin have been discussing potential development regularly throughout the course of the year. Both leaders met at high-level international forums, including the Shanghai Cooperation Organization summit in June in Astana, Kazakhstan. They also met at the BRICS summit in Xiamen, China in September and the Asia-Pacific Economic Cooperation forum in Vietnam in November. The Belt and Road Initiative was first proposed by China in 2013. It envisions two components: the Silk Road Economic Belt and the 21st Century Maritime Silk Road that are expected to cover more than 60 percent of the world’s population and more than one-third of the global economic output. The Chinese proposal envisages the creation of six economic corridors: Bangladesh-China-India-Myanmar, China-Mongolia-Russia, China-Central Asia-West Asia, China-Indochina Peninsula, China-Pakistan Economic Corridor and Eurasian Land Bridge. The list of the 28 confirmed heads of state and government attending the forum also include Philippine President Rodrigo Duterte, Turkish President Recep Erdogan and Italian Prime Minister Paolo Gentiloni. 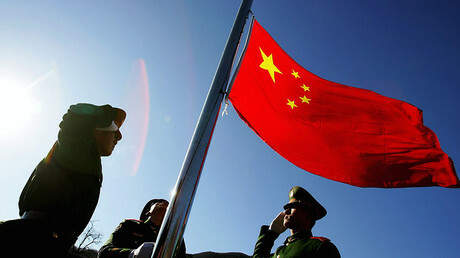 But not all countries are roused by the China-led project. Washington, for instance, is sending a low-level delegation led by White House adviser Matt Pottinger, while France, Germany, and Britain are to be represented by finance officials. Politicians aside, the forum will hear from over 80 leaders of international organizations, including, the United Nations Secretary-General Antonio Guterres, International Monetary Fund Managing Director Christine Lagarde, and World Bank Group President Jim Yong Kim. Some 1,500 business representatives and journalists are expected to attend.